Pizza is an easy go-to food loved by people of all ages. With frozen, delivery, take-out, bake at home and gourmet options, pizza fits just about any occasion. While an occasional indulgence in commercial pizza is okay, if it is a regular feature in your diet, you may want to reconsider your choices. 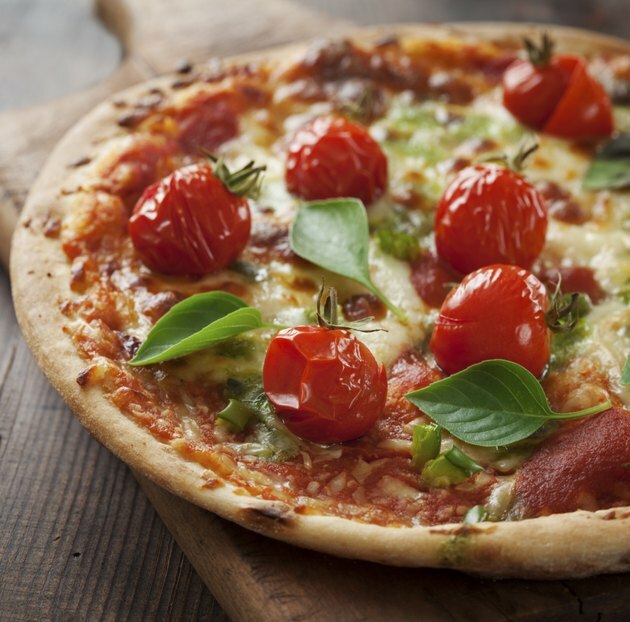 Pizza can be a healthy option, if you avoid the greasy, refined-flour and processed meat versions. Commercial pizza manufacturers, from chain restaurants to supermarket frozen versions, offer an almost infinite variety of crust, cheese and topping combinations. A typical slice from 14 inches of regular-crusted cheese pizza contains between 250 and 350 calories and 10 and 17 grams of fat. Add pepperoni, sausage and cheese-stuffed crust and increase your calorie and fat intake to almost 500 calories per slice with 26 grams of fat. 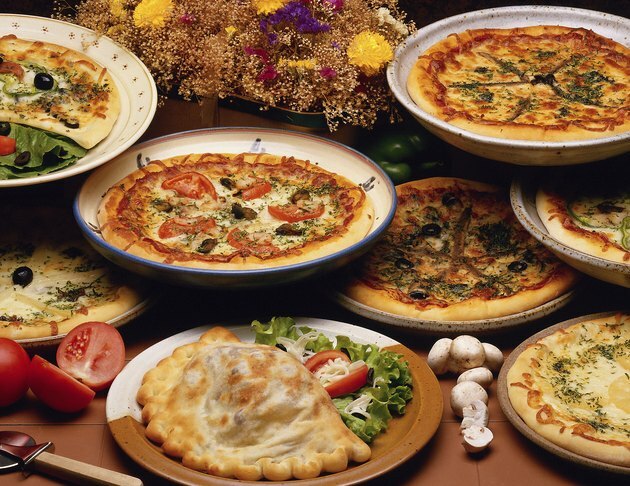 “Gourmet” pizza restaurants that offer smaller, individual pizzas do not fare much better with pizzas that contain between 1,400 and 1,700 calories and 30 grams of fat each. Eating too many calories can cause weight gain. The high fat content in these pizzas comes largely from saturated fats, too much of which can raise your risk of developing heart disease. In addition to being high in calories and fat, commercial pizzas are high in sodium with 500 to 700 milligrams per slice. 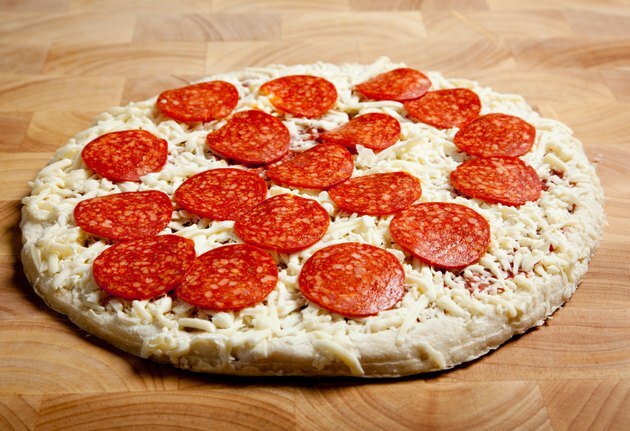 Frozen pizzas often contain over 900 milligrams of sodium per serving. The Institute of Medicine recommends keeping your sodium intake below 1,500 milligrams. Indulging in take-out or frozen pizza will cause you to exceed this target regularly, leading to water retention and increasing your risk of high blood pressure. To make your pizza-eating experience healthier, order less cheese on your pie. 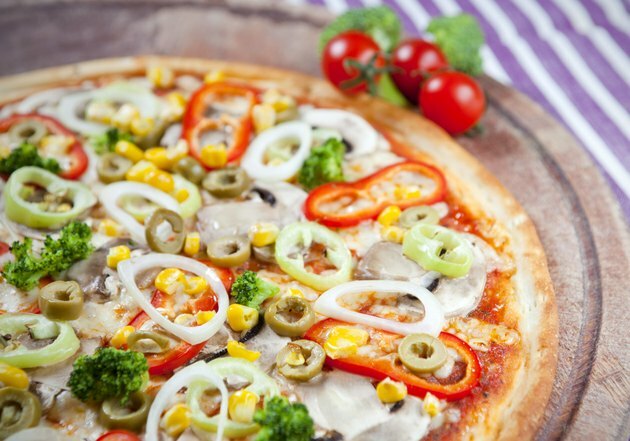 Also ask for a pizza with extra vegetable toppings and avoid meat toppings as much as possible. If you are committed to meat, ham or chicken are the healthiest options. If you can find a restaurant that offers whole grain crust, order it. Otherwise, stick to thin crust to minimize your intake of refined white flours, which offer little fiber and can spike your blood sugar levels, leading to cravings and overeating. Limiting your intake of commercial pizzas does not mean you have to skip pizza altogether. You can make homemade versions that satisfy your cravings and need to eat a healthier diet. 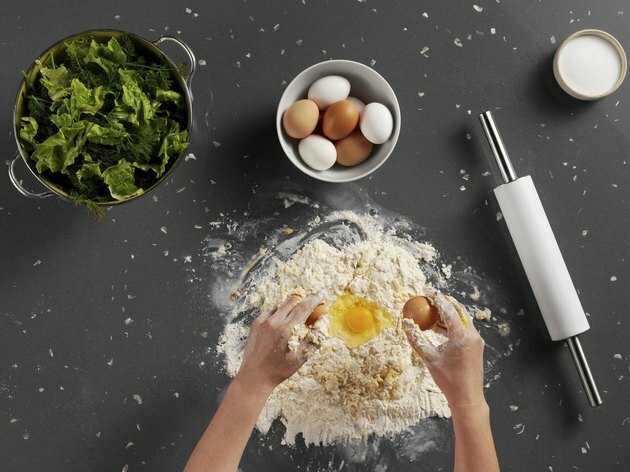 In any pizza dough recipe, substitute whole-wheat flour for half of the white flour to make a more nutritious crust. Make your own low-sodium sauce using no-salt-added tomato puree, Italian seasoning, minced garlic and a pinch of sea salt. Top with part-skim mozzarella and roasted or grilled vegetables. Pop into a hot oven and cook until the crust is crispy and the cheese is melted. You can also make quickie versions of healthy pizza by using whole-wheat English muffins or pita bread as a crust. Top the crust with a few slices of fresh tomato, minced garlic and a dash of salt. Top with part-skim mozzarella and grated Parmesan cheese. Melt under the broiler and add fresh basil leaves before serving. How Many Calories Are in a Small Pizza with Extra Cheese?